Wastewater discharge entails the interception and discharge of treated or untreated wastewater in the receiving waters. The location of the discharge point in relation to the treatment plant impacts the energy requirements or recovery potential when conveying the treated wastewater and hence the GHG emissions. However, direct emissions of methane and nitrous oxide related to the direct discharge may amount up to 30 to 45 kg CO2e/pers.year. This represents about three to 10 times more emissions than those of collecting and treating wastewater to adequate levels. Direct GHG emissions (methane and nitrous oxide) from biological processes in the receiving waters. Energy source (renewable, fossil fuels, grid energy mix). Energy recovery from water running downhill (topographic energy). The distance and elevation difference between the wastewater treatment and discharge impacts the energy requirements or recovery potential. Furthermore, if there is no wastewater treatment, then the direct GHG emissions resulting from the direct discharge to receiving waters range between 30 and 45 kg/per year. When there is no wastewater treatment, the distance and elevation of the final discharge point dictates whether wastewater needs to be pumped. Microturbines installed in water pipes allow converting the hydraulic potential energy loss resulting from the hydraulic design and the topography into electrical energy. Global management solutions, guidelines or general information of interest. The timely rehabilitation/substitution replacement of pipes and service connections enables the reduction of minimizes the number of unplanned repairs and water loss in the water abstraction system; hence, its energy and GHG emissions. An Proactive Infrastructure Asset Management aims at this. Management has to be proactive and not focus on short-term strategies that lead to lower levels of service in the future and higher costs for the user. In addition to risk of pipe failure, the cost-benefit of rehabilitating/replacing pipe versus anticipated savings in energy and reduction in GHG emissions from water loss reduction should be considered. Pipe rehabilitation/replacement reduces leakages resulting in energy and water savings, and GHG emissions reduction. 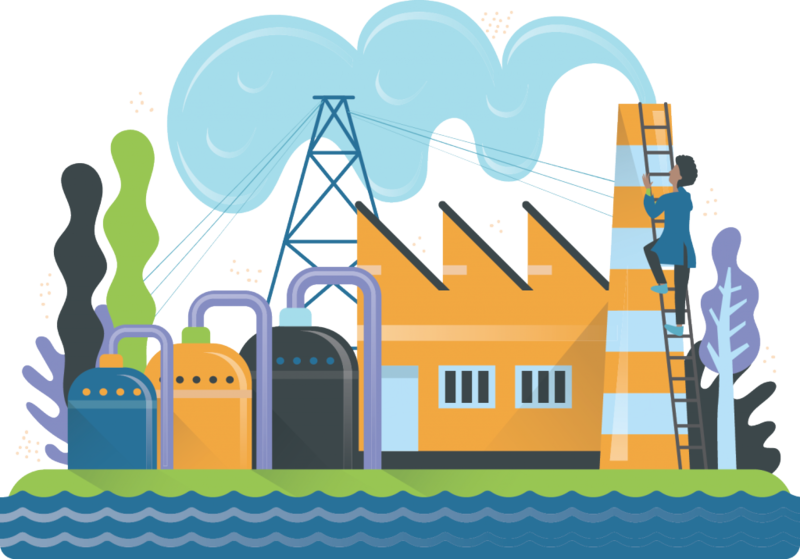 Use of supervisory, control, and data acquisition (SCADA) system for monitoring, supervision and controlling of pumping systems can help minimize energy consumption of GHG emissions. It includes measurements in real time of water levels, pressures, flows, energy consumption and other operational parameters. It also helps to adjust and control the pump station operation, contributing to fight water losses or infiltrations, reduce pumping during energy peak hours and adjust pumping volumes to the needs of the system. The SCADA systems provide utility managers with access to real-time operating data and can help offset the higher operating costs by minimizing unplanned downtime and improving maintenance plans. The SCADA system can also be used to optimize pumping in real-time through advanced pump optimization software and control, or through either a model-based or knowledge-based optimization that is implemented via a rule-based system programmed into the SCADA system. This type of optimization entails the use of algorithms to determine the best pumping scheme for a given situation. This can incorporate the peak energy times previously referenced, but also a prioritization of which pumps or pumping stations are used to maximize efficiency whenever possible. For example, if only a certain volume is demanded, then the SCADA system will first operate the most efficient pumps or pumping stations to meet the demand until greater capacity or more pumps are needed. A SCADA enables the remote monitoring and control of the whole system, or parts of it, and processes information to generate alarms, reports, graphs or other outputs essential to operation and maintenance. By enabling the remote control of valves and pumps, the SCADA systems allows faster responses in emergency situations, such as fires or pipe bursts. Remote control, gathered with the system’s monitoring, can also lead to a reduction of human resources and travelling needs, especially those related to the operation of electromechanical equipment. Proper training of staff to work and use this tool is essential. - Faster responses in emergency situations, such as fires or pipe bursts. - Reduction of human resources and travelling needs, especially those related to the operation of electromechanical equipment. An optimal control of the state of the mobile parts inside the pump as impeller can prevent some breakdowns in the pumps, and also a good maintenance of these parts keep the pumping efficiency in high levels. •	Can help maintain best efficiency points and optimal pump performance. •	Can help minimize energy consumption and costs. Replace pumps for smaller, bigger, less or more pumps depending on the local conditions. Adequate the pumps, and pump conditions to local in order to optimize resources and equipment. Replacement of old pumps and motors helps to increase the overall efficiency of the pumping systems. New high efficiency electrical motors and pumps is available for any type of application: from chemical pumps to big water centrifugal pumps. •	Can potentially represent high capital costs. •	Financing •	Payback period. •	Cost-benefit based upon capital costs, increased energy efficiency, and energy savings. •	Master planning. •	Potential future changes to the system that can affect pumping requirements and performance. •	Increase the overall efficiency of the pumping systems. •	Reduce energy consumption and costs. •	Reduce GHG emissions. Automatic Pump Controllers make it possible to operate a rainwater system without a large pressure tank, pressure switch, and float switch. In the simplest design, the bottom inlet connects to the pump, the top outlet connects to the plumbing system, and the pump is plugged into the controller which is in turn plugged into to an electrical receptacle. When a faucet is opened, the controller senses the drop in line pressure and instantly turns on the pump to re-pressurize the line. If no water is available, the controller shuts down the pump to prevent dry-run damage. Simplest design. Save money and energy avoiding the necessity of more complex infrastructure. Based upon the system head conditions, pumps may be able to pump at higher rates than needed when operating at 100% motor speed. This flow rate can be controlled by one of two ways, throttling the pump with a valve if the pump is a constant speed pump, or changing the motor speed with a variable speed drive. The former is only energy efficient if the higher flow operating point of the pump without throttling is to the right of the best efficiency point on the pump performance curve, and the throttling results in reducing the flow to a point closer to the best efficiency point on the pump curve. Otherwise, throttling the pump can result in using more energy than at the higher flow, as well as wasting energy because you end up using more energy than is needed. When the demand on the system fluctuates significantly, the pumping rate can be controlled automatically by varying the speed of the motor with a variable frequency drive (VFD), such that the pump output matches only what is needed to meet demands or the intended pumping conditions. The pump’s flow rate then increases or decreases based upon the affinity laws and the controlled speed of the motor. This way lower pumping rates can be achieved, which may result in lower efficiency than those at full motor speed; however, the energy consumption is still lower because the energy requirements to pump lower flows at lower heads are lower. Variable speed drives (frequency inverters) to control pumps/ electrical motors speed, allow adjusting the pumping flow and head to the demand treatment and/ or consumption. It makes it possible to adjust the flow depending on the demand hour/ day/ month/ season. Reducing pump/ electric motor speed to operate the pump at its maximum efficiency point results in reducing energy consumption per m3 pumped. An automation system is needed for operation. Cost is typically justified for motor powers above 10-15 KW"
Lower energy costs Higher operational flexibility. Variable speed pumping: A guide to successful applications. Use of solar panel and wind turbines to power pumps and other equipment. Technology details, sun direction / angle of panels, wind speeds and patterns, installation costs and financing models (i.e. loans, ESCO, power purchase agreements, etc.). Can significantly reduce grid energy consumption and related GHG emissions. 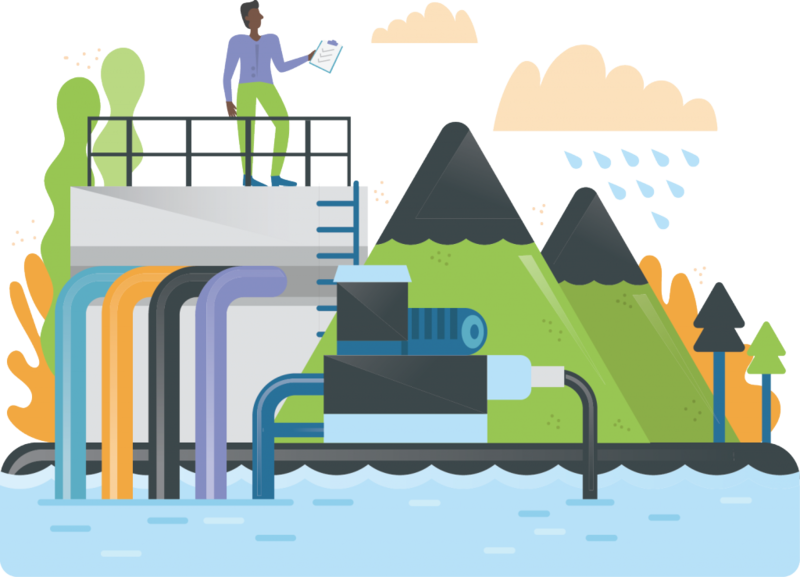 Is your water utility ready for the carbon neutral future?